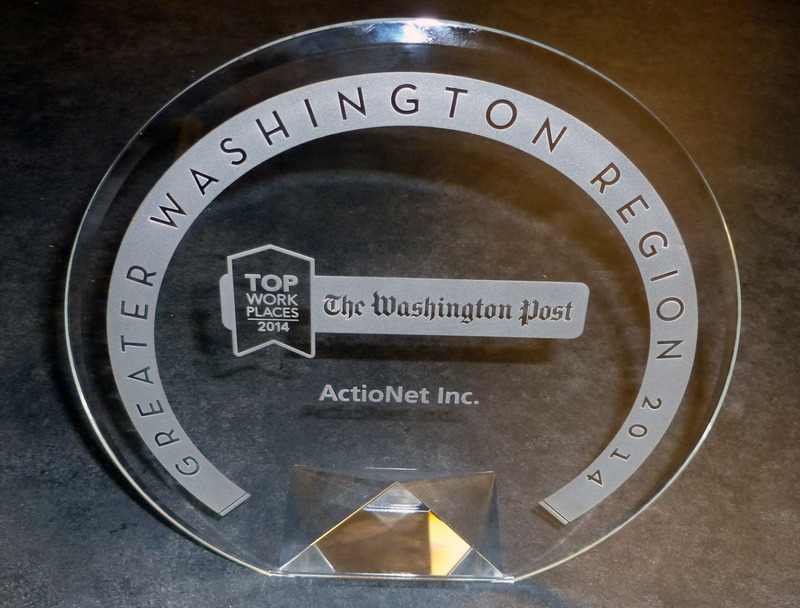 ActioNet, Inc. announced today that it has been named one of The Washington Post Top Workplaces 2014. A total of 150 Companies were honored and announced on Thursday, June 19 at The Washington Post Headquarters in Washington, DC. Over 700 representatives of the winning companies and the Washington Metro business community were in attendance. The awardees were selected based on direct survey feedback from the employees of those companies. “This award symbolizes ActioNet’s Corporate Culture and Core Values that center around making our customers and each other successful. A company is only as good as its people and our ActioNeters, who embody our Core Values, work hard every day to deliver our vision of providing outstanding service. Our ActioNeters also fulfill an important part of our Mission in giving back to our community and helping others achieve their dreams,” said Ashley W. Chen, President, and CEO. 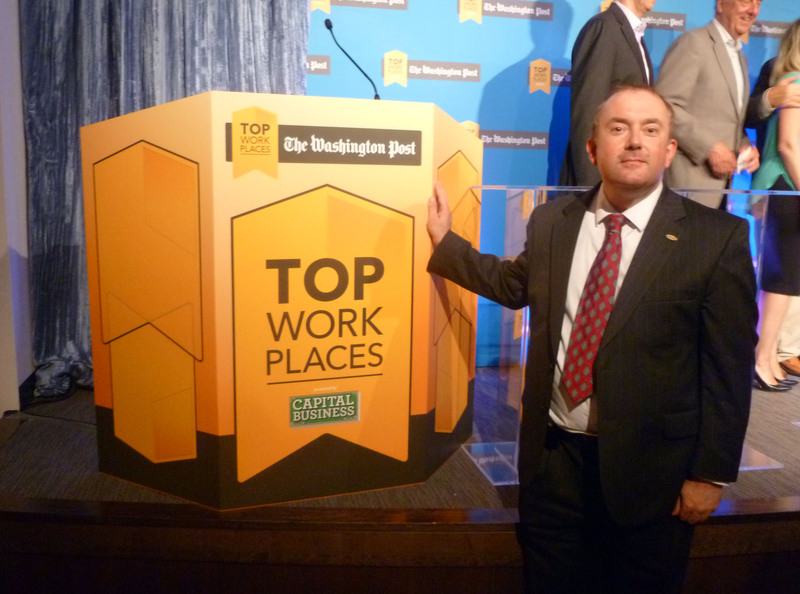 The Washington Post today recognized the top places to work in the greater Washington area. 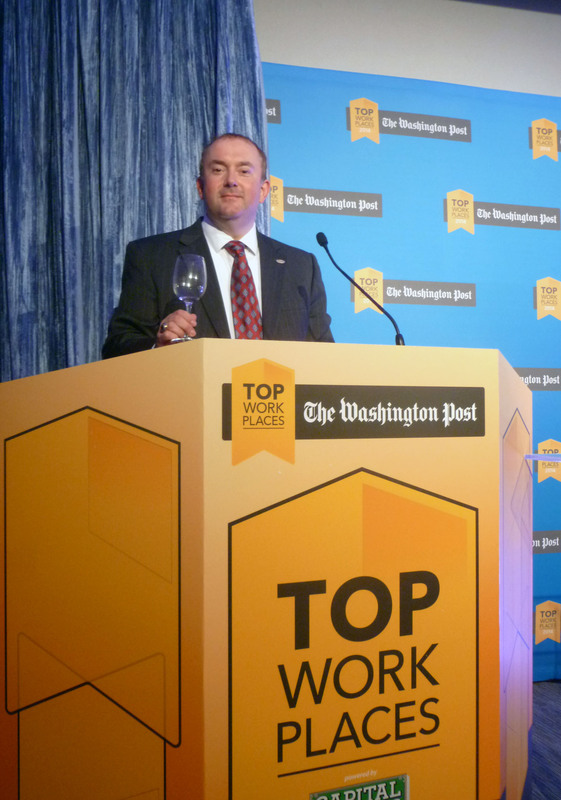 In its first annual survey, The Washington Post’s Top Workplaces 2014 list spotlights private, public, nonprofit and government agencies based on the feedback from more than 33,000 employees. More than 2,000 employers across the region were nominated. WorkplaceDynamics, an employee survey company, then conducted a survey of employees from eligible companies who evaluated their employers on factors including the quality of leadership, pay and benefit practices, work-life balance issues and more. ActioNet, Inc., headquartered in Vienna, Virginia, is an SEI CMMI® Level 3, ISO 20000, ISO 27000, ISO 9001, HDI-certified, 8(a) and woman-owned IT Engineering Services Firm with strong qualifications and expertise in Cloud-based Solutions, ITSM, Cyber Security, Program Management, Infrastructure Solutions, Software Engineering and IT Business Governance. As a Mission-Focused, Client-Centric and Results-Driven organization, ActioNet also follows the Project Management Institute (PMI) methodology as well as Information Technology Infrastructure Library (ITIL) standards. ActioNet has outstanding past performance, as evidenced by our “Exceeds Customer Expectations” rating from Dun & Bradstreet and a 92 out of 100 rating from Open Ratings. ActioNet holds the highest 5A1 Financial Rating from Dun & Bradstreet. Most recently, ActioNet was designated one of the Best Workplaces for Commuters℠ by the Fairfax County Department of Transportation (FCDOT) 2013 -2014.